Gorgon ransomware is a newly-discovered cyber threat that is created in order to obtain money by holding personal files of victims' hostage. Once the virus gets into the machine, it performs a series of system modifications and then locks up databases, documents, pictures, videos with the help of a strong encryption algorithm. Files are modified and the . [buy-decryptor@pm.me] extension added, preventing victims from opening or using any personal data. 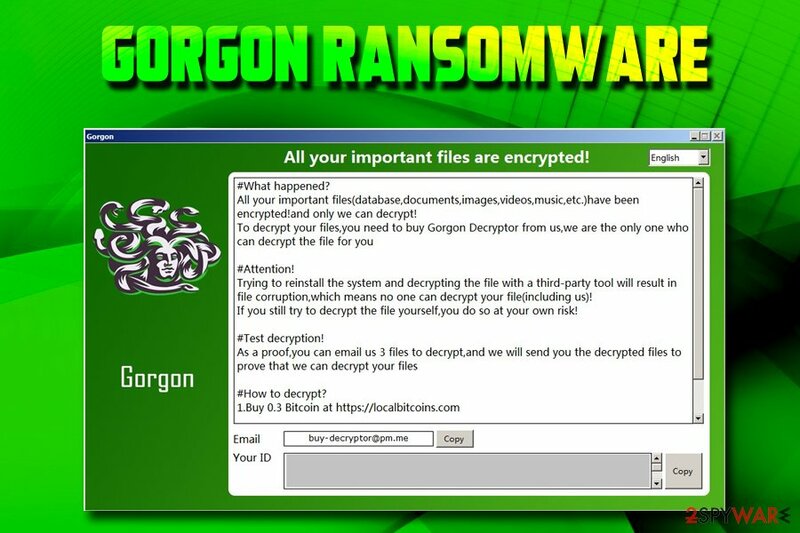 Gorgon ransomware also swaps the wallpaper and drops a ransom note #DECRYPT MY FILES#.HTML where hackers demand 0.3 Bitcoin for decryption key which is stored on a remote server. Bad actors also offer test decryption of three files that do not contain valuable information. According to experts, this cyber threat is “a twin brother” of FilesL0cker ransomware, although it is not a variant of the latter. Infiltration Spam emails, malicious websites, fake updates, etc. As evident, crooks want to make victims believe that the best option they have is to pay the demanded ransom of 0.3 BTC, which currently stands for around $1,000. However, experts advise staying away from cybercriminals and never contacting them. The best way to deal with the situation is to remove Gorgon ransomware with the help of Reimage, Malwarebytes MalwarebytesCombo Cleaner or other powerful security software that detects the threat. After Gorgon ransomware removal is complete, you can attempt file recovery without paying criminals. If you have backups ready, there will be no problems with recovering all your data. Alternatively, you can make use of data recovery software that might be able to help you. We provide all the instructions below. Cybercriminals are sophisticated individuals in most cases, and they often rely on social engineering to spread their crypto-extortionists. One of the most popular techniques used to deliver ransomware viruses is spam emails. Bad actors often employ bots to send out thousands of emails that either contains a malicious file that requires macro function enabling or a malicious hyperlink that directs users to a specific web page that downloads and executes the payload. Therefore, it is vital to be attentive while opening emails from unknown sources, especially if they end up in the Spam box. Email providers do have built-in scanners that detect deception and mark dangerous messages. Nevertheless, some phishing emails might end up in your Inbox. To remove Gorgon ransomware, you will have to employ a powerful security software. 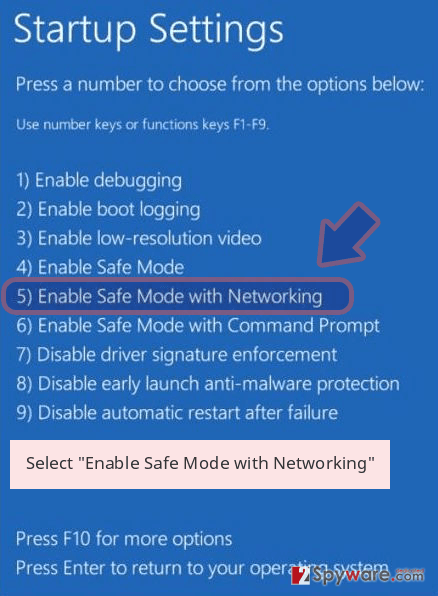 There are plenty to choose from, but make sure you use the one that can detect the malware. For that reason, we suggest you pick Reimage or Malwarebytes MalwarebytesCombo Cleaner. 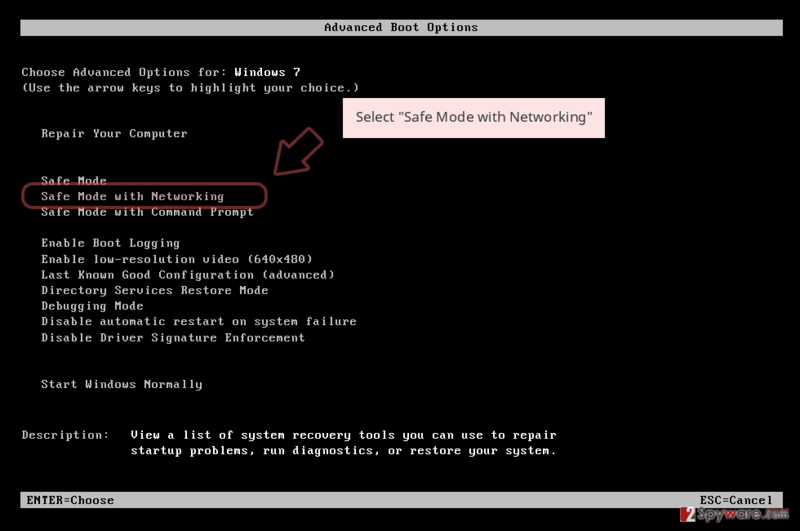 Once installed, you should reboot the system and enter Safe Mode with Networking. 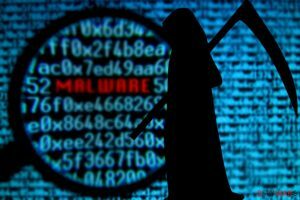 This will prevent Gorgon virus from interfering with anti-malware software. 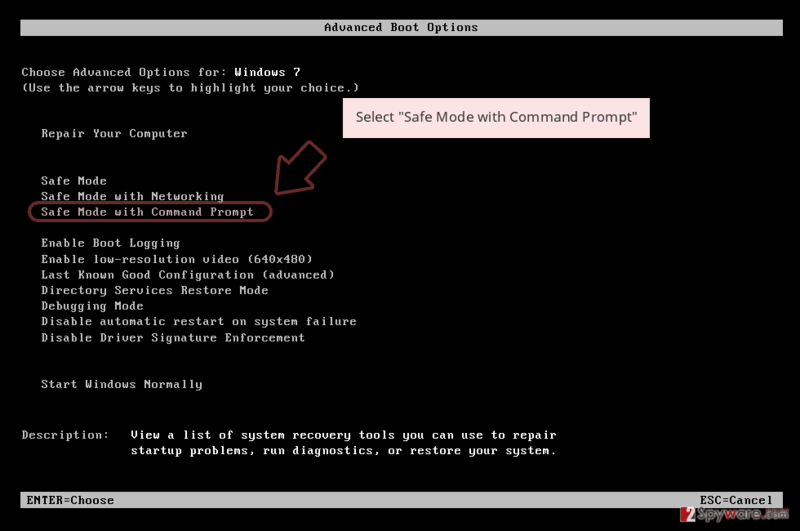 In the Safe Mode, perform a full system scan to complete Gorgon ransomware removal. Once the virus is gone, you can start file recovery procedure by either using backups or trying out third-party applications that specialize in file recovery. If that fails, you should wait till security researchers come up with the decryptor that would be able to decode all files for free. Log in to your infected account and start the browser. Download Reimage or other legitimate anti-spyware program. Update it before a full system scan and remove malicious files that belong to your ransomware and complete Gorgon removal. 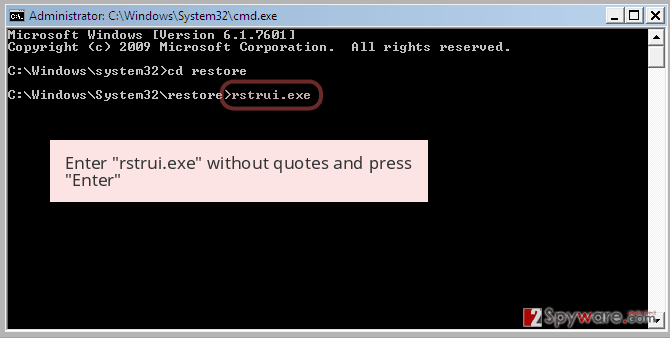 When a new window shows up, click Next and select your restore point that is prior the infiltration of Gorgon. After doing that, click Next. 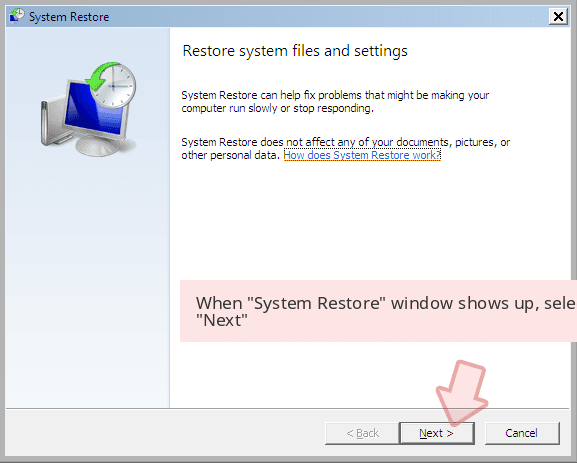 Once you restore your system to a previous date, download and scan your computer with Reimage and make sure that Gorgon removal is performed successfully. Guide which is presented above is supposed to help you remove Gorgon from your computer. To recover your encrypted files, we recommend using a detailed guide prepared by 2-spyware.com security experts. 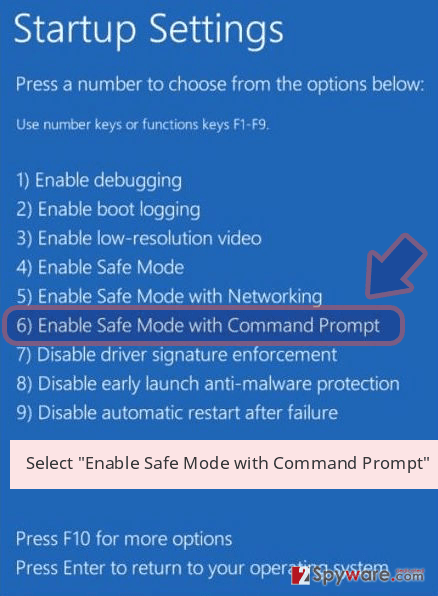 By using this method, you will be able to recover individual files. 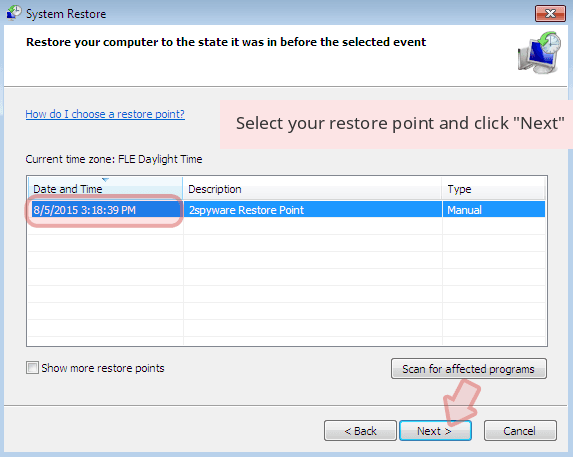 However, System Restore point is required for this feature to work. In case you were lucky and Gorgon failed to eliminate Shadow Volume copies, this toll will help you to recover all data. 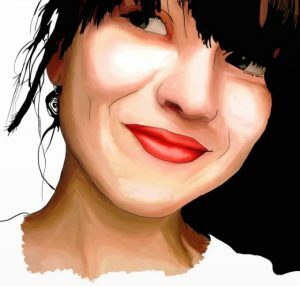 ^ Amigo-A. This is a twin brother. Twitter. Social Network. ^ 77642c40eddc84ae332f2da7c9fed81c9438eb69c8b2a4f01996d5fbbe788cf2. Virus Total. URL and file analyzer. ^ UsunWirusa. UsunWirusa. Security researchers. This entry was posted on 2019-01-28 at 11:49 and is filed under Ransomware, Viruses. You can quickly scan the QR code with your mobile device and have Gorgon ransomware manual removal instructions right in your pocket. How did you remove Gorgon virus?